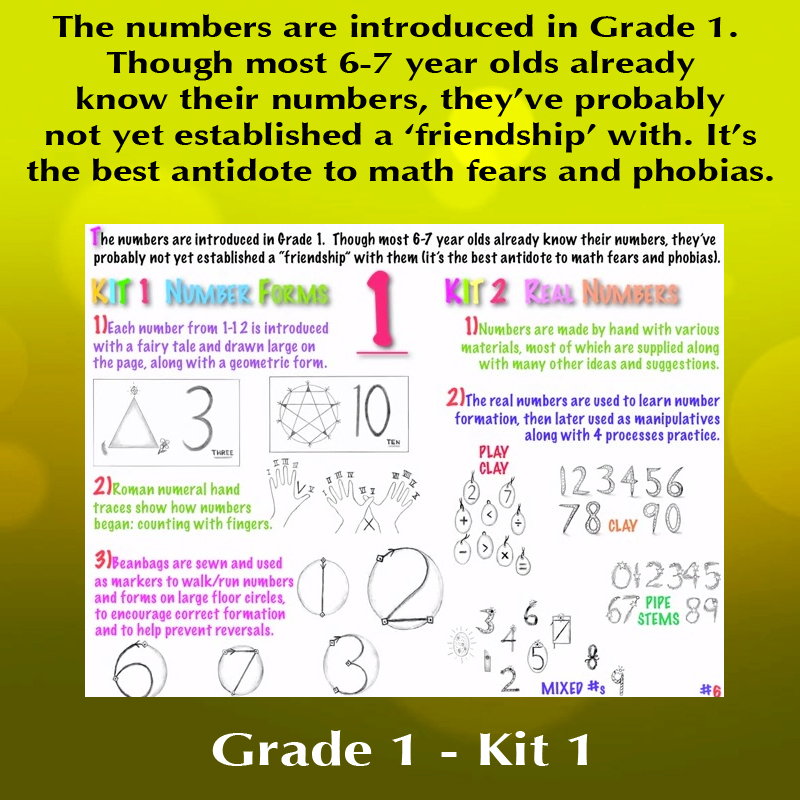 KIT 1: NUMBER FORMS uses form drawing as an aid to correct formation and an introduction to geometry. 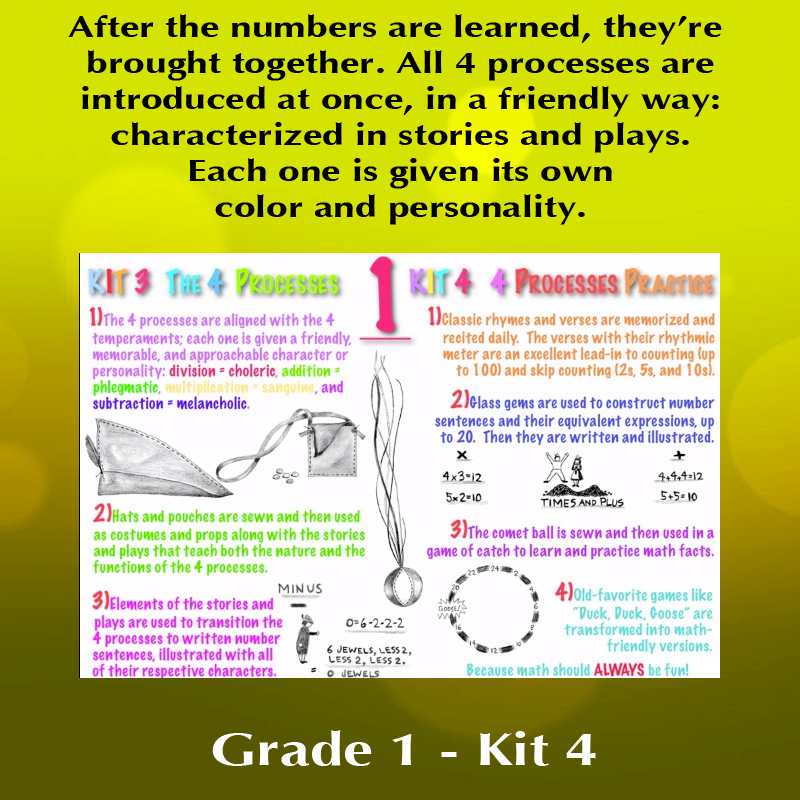 The numbers 1-12 are introduced with fairy tales, drawings, geometric forms, and movement. Learning to recognize and write the numbers begins with a focus on the Roman numerals then transitions to the Arabic numerals. 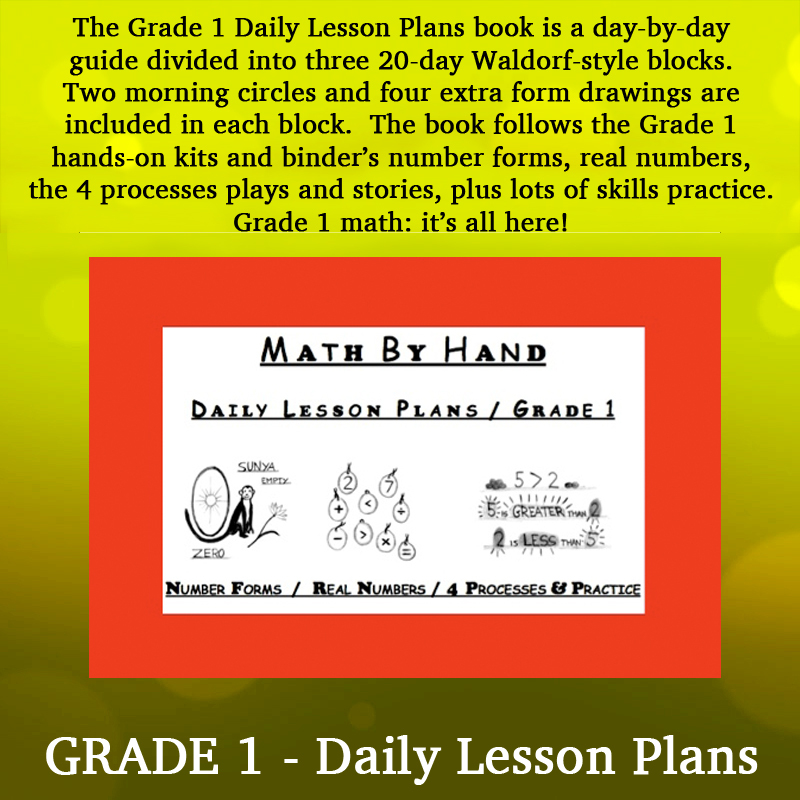 The history of numbers and how their transformations led to our modern numbers is explored.